Bedbugged! Is the Bedbug Registry broken—or just misunderstood? I am in the throes of apartment hunting, and lo and behold—the Bedbug Registry appears not to be working. But for a first line of defense, nothing beats the Bedbug Registry. Mind you, it was at the center of a media firestorm a couple of years ago, pilloried as an unregulated place to slander the Cimex-challenged landlords and hotel owners of the world and (sometimes) hurl false accusations. Let me first say that yes, there are some problems with the registry. But it fills an essential function regardless. I know of at least one person who ruled out a bunch of apartments thanks to information obtained from the Registry. It’s not a perfect vetting mechanism by any means. But that’s just why we need that and reporting services of its ilk. 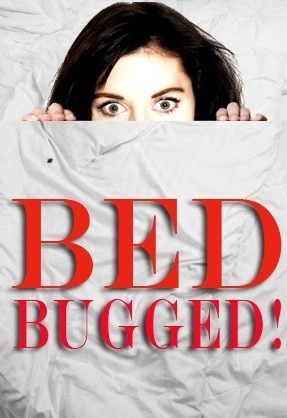 When the Bedbug Registry started, no one else was doing anything like it. Travelers and apartment dwellers had no way to find out whether proprietors were putting them at risk, and that is something that they deserve to know. Enter Ceglowski, a Czech guy living in San Francisco whose bed bug experience was so upsetting that he set out to save others from his fate. Once bed bugs caught on in the media, the registry became a center of attention. As the Poynter Institute noted in an October 2010 column, the site went from a typical 3,000 daily visitors with 20 new reports, to up to 40,000 and 100, respectively. In August 2010 it was visited by 50,000 people daily. The Bedbug Registry became the go-to place for people making hotel reservations and those seeking apartments, or information about their buildings. Discussions ensued on whether the registry should exist. But that was the wrong discussion. The discussion should have been over how to fill this clearly pressing need in a way that involves more than just one person fielding e-mails. Irresponsible and/or ignorant landlords and hotel owners are out there, and someone needs to tell us who they are. At the same time, the people posting need to be responsible. Again, because there is no formal mechanism for disseminating their information, we are left sorting out bogus and purely ignorant reports (“I woke up with welts, therefore it must be bed bugs”) on our own. The question, then, is, why should this one person and his site be maligned for doing something, if no one else is doing it? Gawker did not see the importance of the role the Registry plays, dubbing it "fearmongering" with some derisive comments in an August 2010 post. It's not the ethics of the site itself that are at issue, but the ethics of how people use it. We are all looking for definitive answers on these things, and there aren't any. The Bedbug Registry is just one tool that can help a person gauge the risk. It does not provide definitive answers and was never meant to. And the Registry is not all about bad news. There are plenty of reports on it from people who are just noting that an infestation was found and taken care of. So, it’s a good way to gauge how management handled the issue. If you see a huge pile of unresolved complaints posted, it is a sign that you should at the very least investigate further. It could very well indicate that building management doesn't take the problem seriously. And who wants to stay/live in a place with clueless management? The real problem is that the registry was created because of the dearth of information out there, and because of the tendency of people in authority to be dismissive of this problem. Now bedbugs seem to be everywhere, and still this list is the only mechanism out there that is trying to help people avoid a prohibitively expensive, emotionally crushing ordeal. It’s certainly better than nothing, which is what people would have if the registry did not exist. What people do in response to finding something on the list is based more on a lack of public information than it is on any fault of the Registry per se. In other words, the responsibility isn't all on the creator in this case; as with all things bedbug, cooperation is key. Thus what's really needed, rather than vilifications of the Bedbug Registry and its potential misuse, is a public information campaign that would take away stigma and help us deal with this problem. In the absence of that, the Internet notwithstanding, bed bugs may very well continue to spread unchecked. In that case the Bedbug Registry is our best defense. Anyone who doesn’t like it is free to suggest an alternative. I hope that nothing untoward is going on with the Bedbug Registry. A similar problem was logged back in August on a Bedbugger.com thread, with people seeing either that the Registry's history had been cleared or that surrounding reports weren’t being shown on maps. It turned out to be a computer glitch, and Ceglowski solved it fairly quickly. Let’s hope that is the case this time too.